30 Days to Zero-Waste, a guide to more conscious living. • The Eco Edit. Earlier this month, my friend Annie and I decided to set an intention for the New Year – to adopt a zero-waste lifestyle, opting for conscious consumption and planet-friendly alternatives as much as we could, over our own personal convenience. We had both been becoming increasingly aware of the impact our consumer choices were making on the natural world, and this really hit home for me more than ever after visiting Mexico in December, a country plagued by the plastic epidemic. I quickly discovered that not everyone has a say in what they consume – not everybody can access clean drinking water straight from the tap or in fancy glass bottles, not everybody has a plethora of produce to choose from. But I do. I can so easily make better decisions for the environment that other people don’t have the luxury or privilege to make. I can carry a keep-cup or reusable water bottle with me, I can go that tiny bit further to shop at my local farmers market or independent food stores and choose the loose, package-free produce. I can recycle, I can afford to upgrade my toiletries and I can switch to green energy if I want to. Over the course of the last month I have managed drastically reduce my plastic consumption to little or none, opt for walking a lot more over public transport, and have begun composting food waste. I have managed to downsize my wardrobe, avoid fast fashion, cook in bulk and prepare packed lunches – and save a lot of money as a result. But it hasn’t been perfect. There have been occasions where I’ve reached for a bag or three of lentil chips, I’ve had some pretty long showers and I’ve jumped in an Uber after a night out. But that’s okay. It’s not about being perfect. It’s just about trying. Every action has a consequence – and even the smallest of changes still help to realise a positive impact on the world. We have put together a 30 Days to Zero-Waste guide for you, to get you started on the road to becoming waste-free. If you feel a little or stuck or overwhelmed, remember that these lifestyle changes take a long time to become habitual, so don’t be hard on yourself if you slip up from time to time. Scroll down the list and see which of these seem most easily achievable to you today, tomorrow, and over the coming weeks and months. Chains like Pret A Manger and Costa are now rewarding customers with up to 50p off their hot drink if they bring in their own coffee cup. If that isn’t an incentive I don’t know what it is! The idea that there is a pricetag on what is a fundamental human right is nuts. Ditch the disposable plastic bottles and save yourself a tonne of money. Most cafes and restaurants will fill your reusable bottle up for free. You’ll be prepared for any spontaneous purchases and food shopping and will remove the need for a plastic bag. Used for all of 10 minutes and yet stick with us for thousands of years, say no to these little devils and join #thelaststraw campaign! Supporting local businesses and buying locally grown produce supports the local economy and reduces your food footprint. Most shops – even big supermarket chains like Sainsbury’s – have a great selection of waste-free produce on offer. Fewer ingredients left in the fridge or cupboards means less likelihood of food waste! It’ll also save you time in the kitchen throughout the week. Prepping your meals beforehand means there’s less chance of ending up with a plastic salad box or sandwich swathed in clingfilm. You can purchase glass jars or up-cycle old jars, giving old stuff destined for the bin a second life. And reduce your energy bill while you’re at it. Save save save that dinero. You can stop unwanted mail being delivered to your address by filling out this form via Royal Mail. Say goodbye to those deep crust pizza deals once and for all! Any banks, charities or organisations that you’re affiliated with will almost always have a paperless option on your account settings. Just log on and click the switch to paperless option. This is a less energy and resource intensive process. And if the weather is nice outside, dry your laundry in the garden or on your balcony. Check your recycling facilities if you live in a residential building or buy a small compost bin to leave out for the bin-man. You should be able to find out details on how to recycle your food waste via your local council’s website. See above. There are quite a few do’s and don’ts when it comes to recycling but once you know the difference between recyclable and non-recyclable, it’s easy peasy. Choose a bamboo toothbrush, available from Brush with bamboo, Woobamboo, the Eco brush. On average, a woman will use 11,000 tampons or sanitary pads in a lifetime. That’s a looooot of disposable cotton. All of which ends up in landfill, and isn’t biodegradable. Buy a moon-cup that’ll last for years to come. Vegan brand LUSH have an incredible range of package free toiletries that are earth-friendly and cruelty-free. Stainless steel is one of the most eco-friendly materials in terms of its production process and will last for ages. You can use these time and time again which will save you money in the long-run, plus they’re friendlier for the skin as lots of disposable pads are bleached with harsh chemicals. Tidy home, tidy mind. Get rid of the old and create more space in your life. Make use of what’s already available over contributing to wasteful processes like paper production and fast fashion. Is it walkable/cyclable? Get outside and enjoy the fresh air. Your body and your mind will thank you for it. 99% of physical flyers end up in the bin 10 seconds after it exchanges hands, and nobody needs that free pen anyway. Why not create a memory you can both treasure forever? Take your friend, partner or loved one out for a meal, to the theatre or to an exhibition. 30. Share your actions and initiatives with your friends! The more conversation we instigate, the more change we will inspire, and the more impact we will help to realise. No amount of effort no matter how great or small is ever wasted. Let’s strive to leaving this world in a better place than where we entered it! 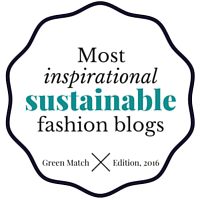 This post was written by Lotte, one of our writers bringing environmental and lifestyle content to Eco Edit. Lotte is a London-based yoga and meditation teacher and environmentalist. You can check out her blog over at livingyoga.online and follow her on Instagram over at instagram.com/_livingyoga/.